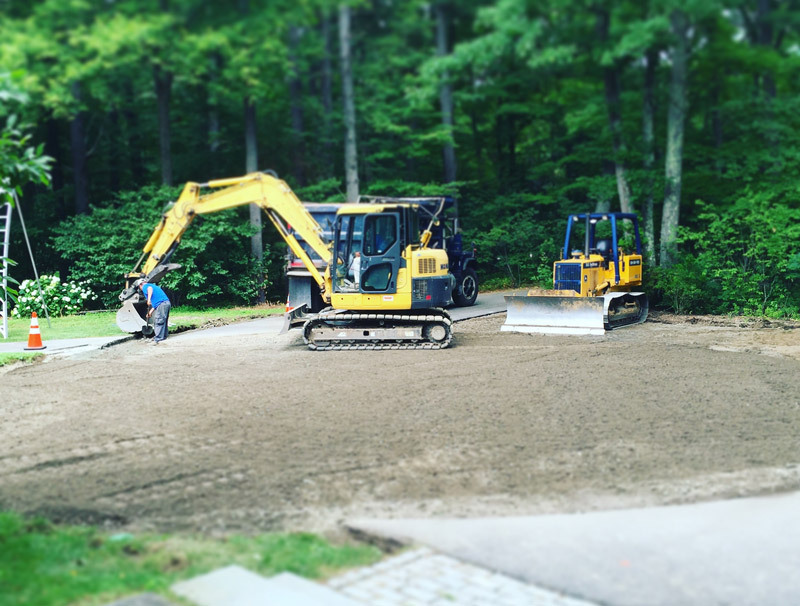 Originally our client’s driveway was long and winding, passing by the front of the house and ending at the garages. 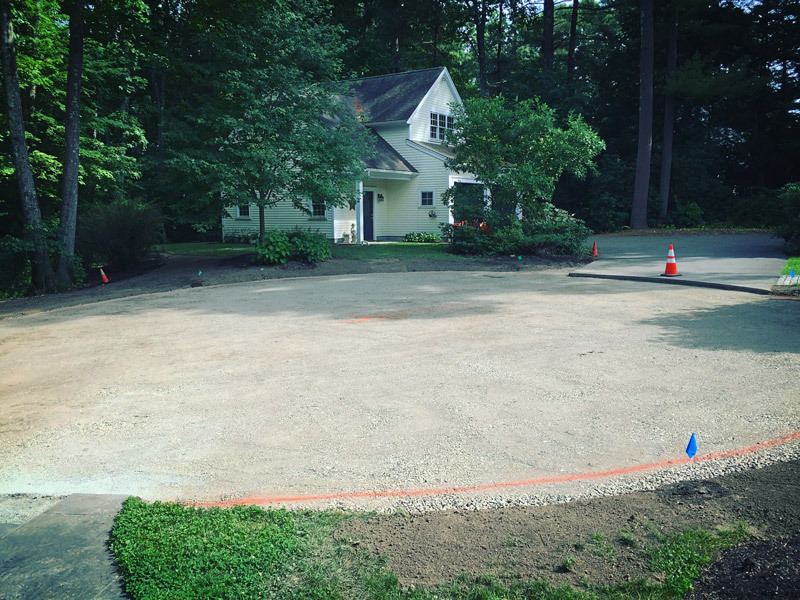 This made it more difficult for guest parking, events, and deliveries. 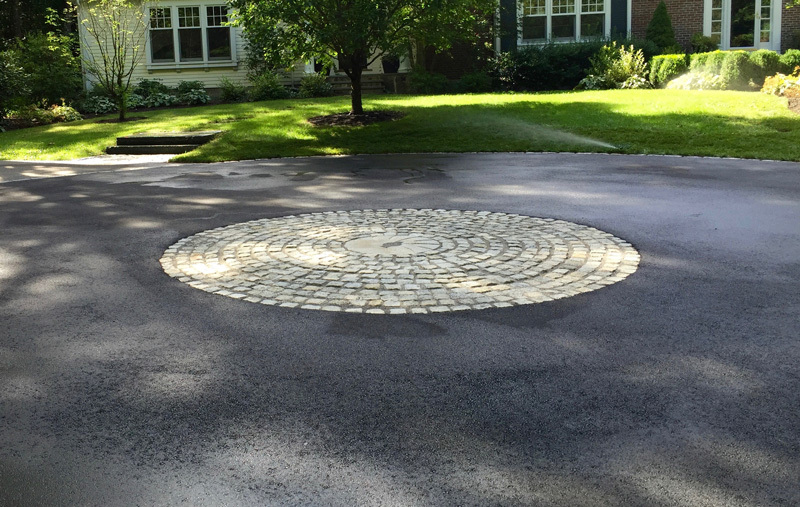 We designed a circular driveway centered off the front of the house. 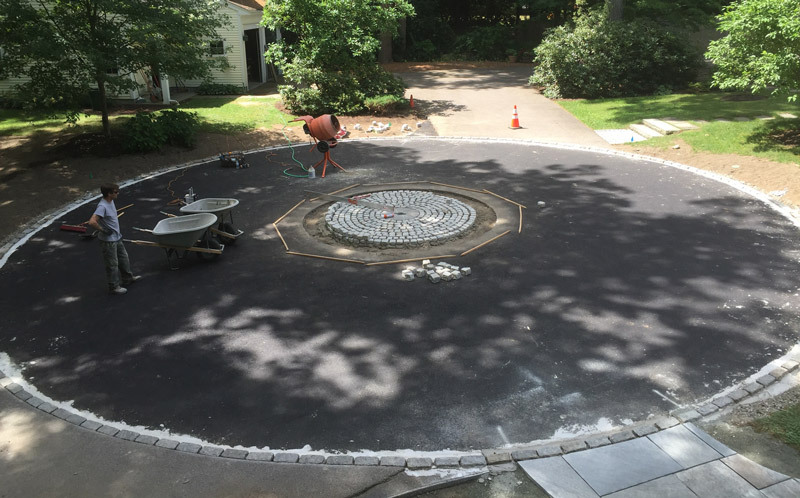 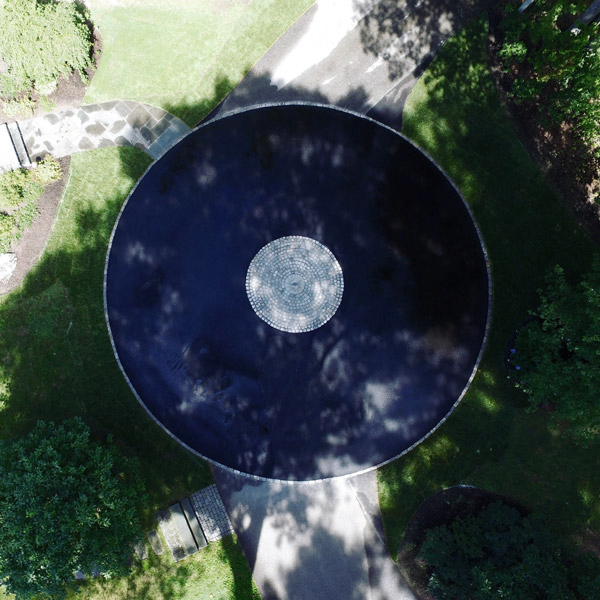 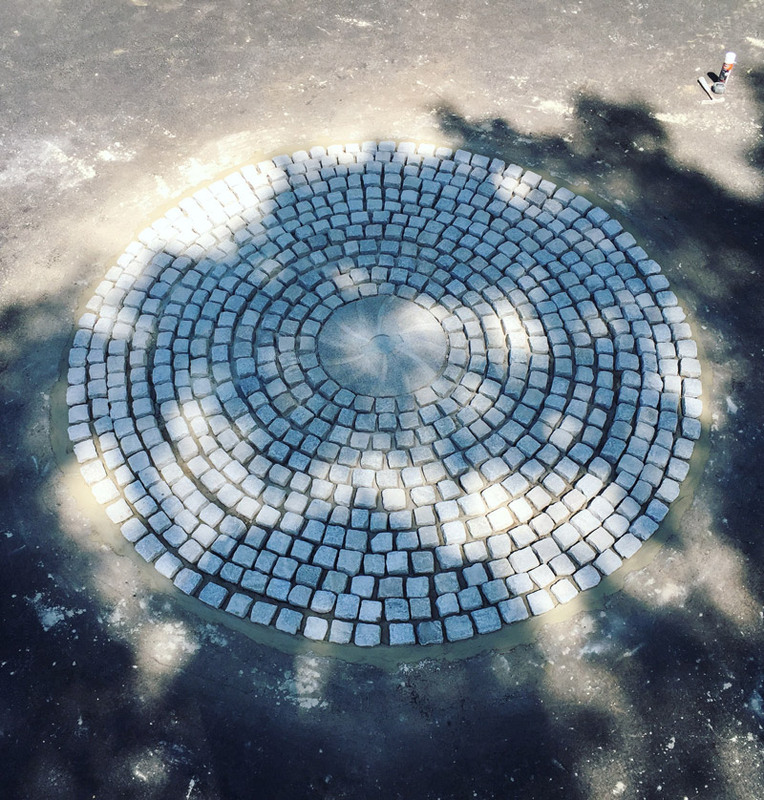 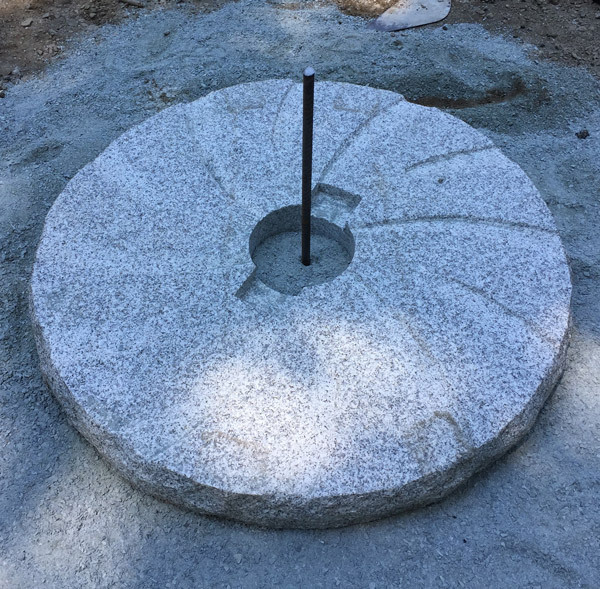 We installed cobbles lining the circumference of the circular driveway and installed a central millstone surrounded by cubed cobbles.